ESO Supernova Exhibition — Where does the Solar System end? The Solar System doesn't have a clear boundary. 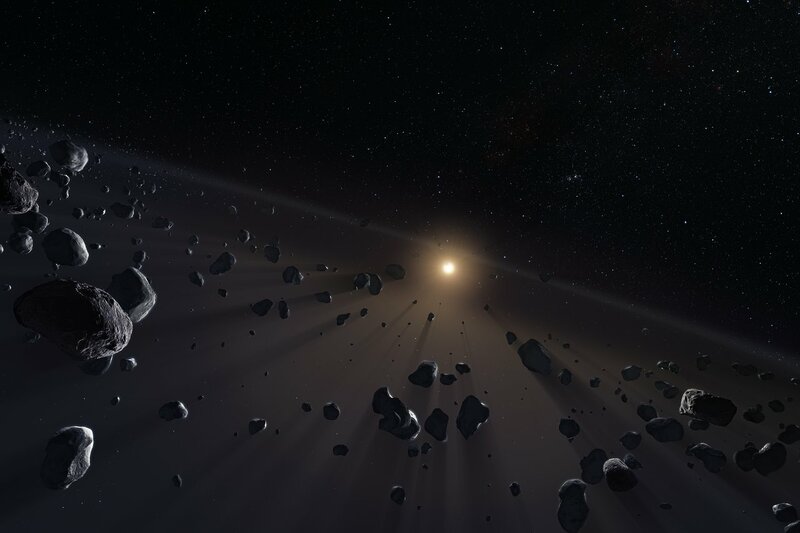 Objects in the Kuiper Belt and the Oort Cloud still orbit the Sun, albeit extremely slowly. Usually, the edge of the Sun's magnetic sphere of influence is taken as the Solar System's edge. Cometary repository: The Oort cloud is thought to contain billions of small cometary nuclei and reach almost halfway to the nearest star. Serve cold: Beyond Neptune’s orbit is the Kuiper Belt of icy dwarfs. Among others, it is home to Pluto, Makemake, Eris and Haumea. The straight path of NASA’s New Horizon mission, sent to explore the Kuiper Belt, is shown in yellow. At some 4.5 billion kilometres from the Sun, Neptune is the outermost planet in the Solar System. But beyond Neptune is the Kuiper Belt of icy dwarf planets (including Pluto) and the giant Oort Cloud of cometary nuclei, which may reach almost halfway to the nearest star. Generally, the outer edge of the heliosphere - the Sun's magnetic sphere of influence - is considered as the Solar System's boundary. So far, NASA's Voyager 1 is the only spacecraft that has ventured beyond this outer edge (known as the heliopause) and entered true interstellar space. 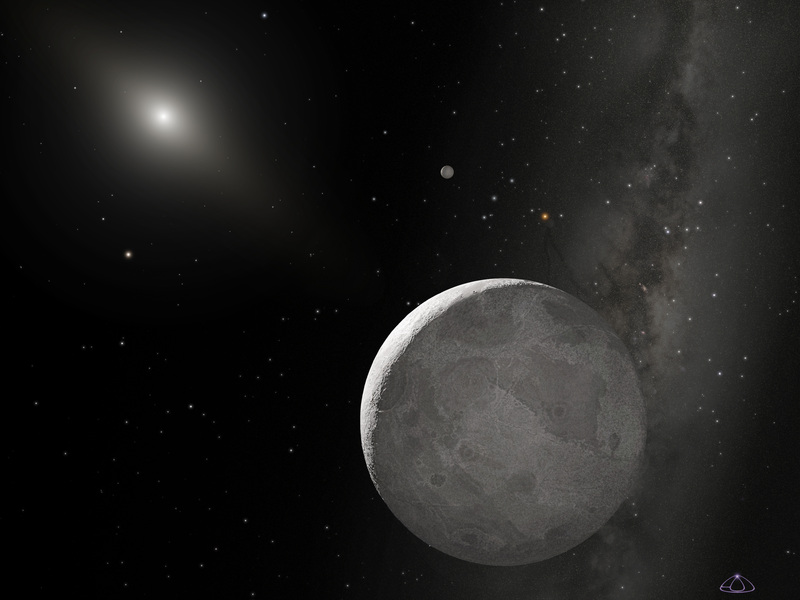 Plutos rival: Eris is the second-largest member of the Kuiper Belt, after Pluto. It is accompanied by a small moon, called Dysnomia (artist’s impression). Crossing the edge: In August 2012, NASA's Voyager 1 spacecraft left the heliosphere - the region dominated by the Sun's magnetic field - and entered interstellar space. At Neptune's orbit, there isn't a sign saying "You're now leaving the Solar System". Beyond Neptune are many small icy worlds like Pluto, and billions of even smaller comets.